In an acting career that spanned more than 50 years, Robert Mitchum became one of the great names of Hollywood’s golden age, famed for his roles in westerns and films noirs. He was also well-known as a hard drinker and hell-raiser, with Chivas Regal blended Scotch one of his favourite tipples. Iain Russell tells his story. Robert Charles Durman Mitchum (1917-97) was born in Connecticut. He was expelled from school in New York and, while a teenager, began ‘riding the rails’ across the US aboard freight cars, taking odd jobs along the way. He worked briefly on a chain gang in Georgia, after being convicted of vagrancy, and had many more adventures before finding work as a B-movie actor in California during the 1930s. Mitchum started with small roles as the villain in Hopalong Cassidy Westerns, but became a major star after the Second World War. He was particularly famous for his part in film noir movies, and won acclaim for his leading roles in films including Build My Gallows High (1947) and the chilling The Night of the Hunter (1955). His ruggedly handsome looks attracted a large female fan-base. Men, too, admired his cool, laid-back attitude, and it’s said that Elvis Presley modelled his famous quiff on Mitchum’s distinctive hairstyle. Remarkably, for a Hollywood star of his generation, Mitchum’s marriage to his childhood sweetheart, Dorothy Spence, lasted 57 years, until his death. A stable marriage, however, did not prevent him from acquiring a justified reputation as a hard-drinking, womanising hell-raiser who was often involved in fist-fights. He was also an enthusiastic marijuana smoker, and his career was placed in jeopardy in 1948, when he was the target of a Los Angeles Police Department sting operation to publicise its latest anti-drugs campaign. An unrepentant Mitchum was jailed for 60 days and featured in lurid headlines across the nation. 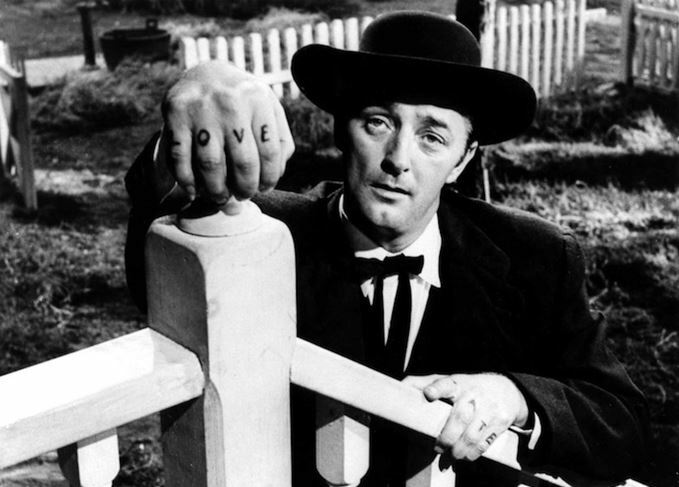 Mitchum acquired his lifelong taste for marijuana during his youth. Many of the hobos he met would harvest wild cannabis growing along the rail tracks, to make ‘jazz cigarettes’. The journalist Michael Tanner interviewed a local publican about the actor’s stay in Dingle, County Kerry, during the making of the Oscar-winning movie Ryan’s Daughter in 1969. He said that Mitchum once visited his pub for a few glasses of Chivas Regal. However, the publican added: ‘He preferred to entertain at Milltown House, where he stayed throughout the filming. I’d deliver about £500-worth a week of brandy, gin, vodka, Chivas Regal. Apparently, Dingle received half of the Chivas Regal imported into Ireland that year. The stories of Mitchum as a man who was relaxed and mellow in his cups are almost as common as those of him as a rambunctious hell-raiser. There are the tales of bar-room brawls, and furious arguments with directors and fellow actors who provoked his ire. Drinking certainly got him into a lot of trouble. He had been drinking Scotch – lots of it – the night he drove up to Lila Leeds’ house in Hollywood and got busted for possession of narcotics. Meanwhile, one of his bar-room brawls resulted in the hospitalisation of the heavyweight boxer Bernie Reynolds – needless to say, Mitchum didn’t fight by Marquess of Queensberry Rules. And he drank, by his own reckoning, at least eight double Scotches before visiting producer David O Selznick (of Gone With the Wind fame) in his plush penthouse suite to discuss the possibility of a starring role in an adaptation of Ibsen’s A Doll’s House. Mitchum suddenly felt the need to go to the bathroom, reckoned he wouldn’t be able to make it and simply urinated all over Selznick‘s carpet. He didn’t get the part.